Born on the 1st of January 2017, Luna Sia was always gonna be exceptional, we just didn't know how exceptional her life story will become. Luna's story can also be read in French , Portuguese , German and Slovene . 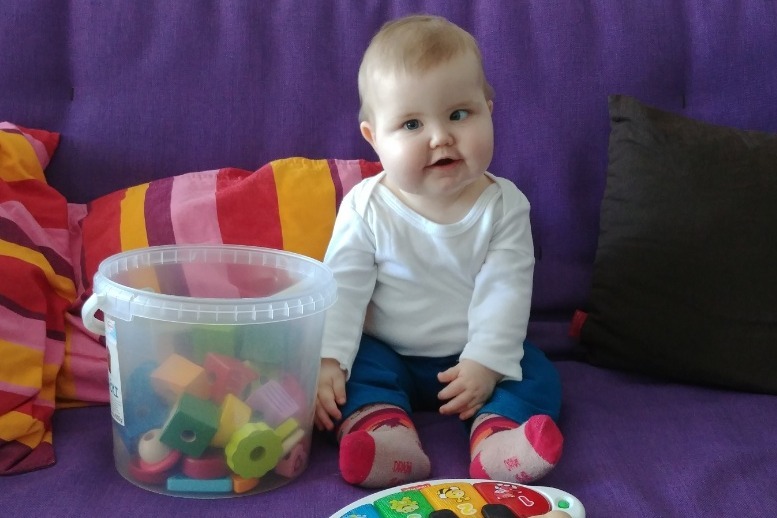 During a regular visit at the pediatrician at the age of 6 months, we were told that her urine contains high amount of proteins. 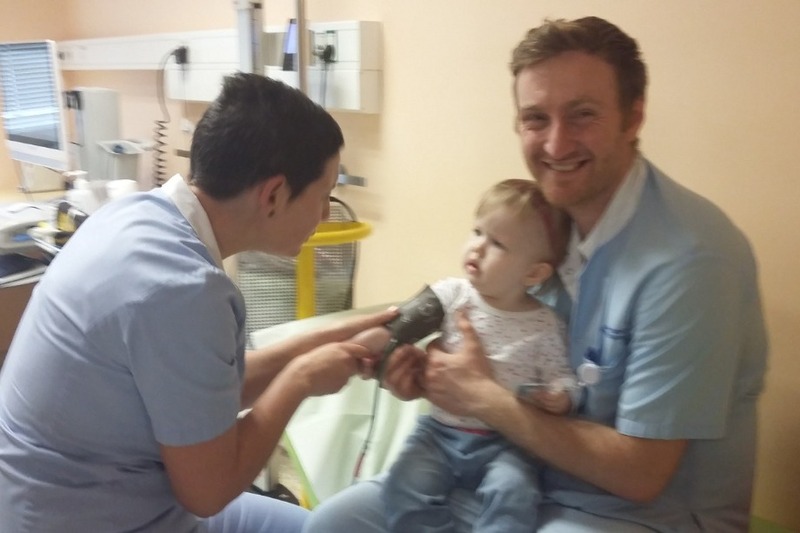 Two days later she was admitted at the nephrology department of the pediatric clinic in Ljubljana, Slovenia. The first diagnosis was asymptomatic nephrotic syndrome. As a precaution, doctors decided to treat her condition with corticostereoid therapy (Medrol). We were informed about the potential side effects but were hoping for quick results. 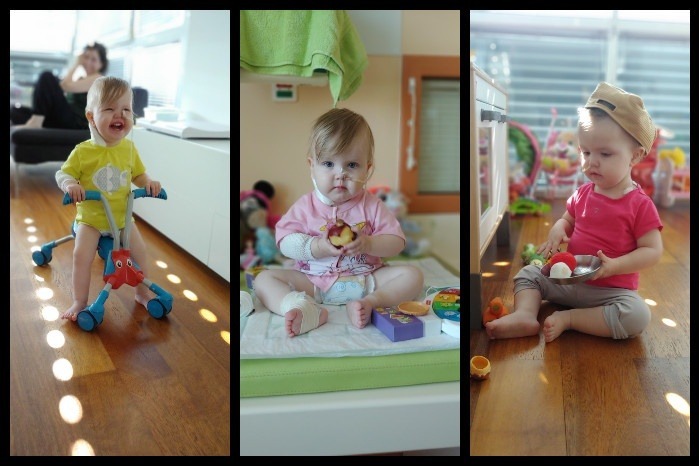 Her condition was identified as genetic and extremely rare (<30 registered cases worldwide). It didn't clearly fall in either congenital or infantile category, meaning there is no literature or suggested treatments. Unfortunately there were no results, just side effects, starting from hormonal changes (affecting growth), excessive swelling and ophthalmic problems (glaucoma) to name a few. At the time we were not only fighting the disease but also the therapy's side effects. After three months the Medrol therapy was discontinued due to lack of results and increased number of complications caused by the drug's side effects. 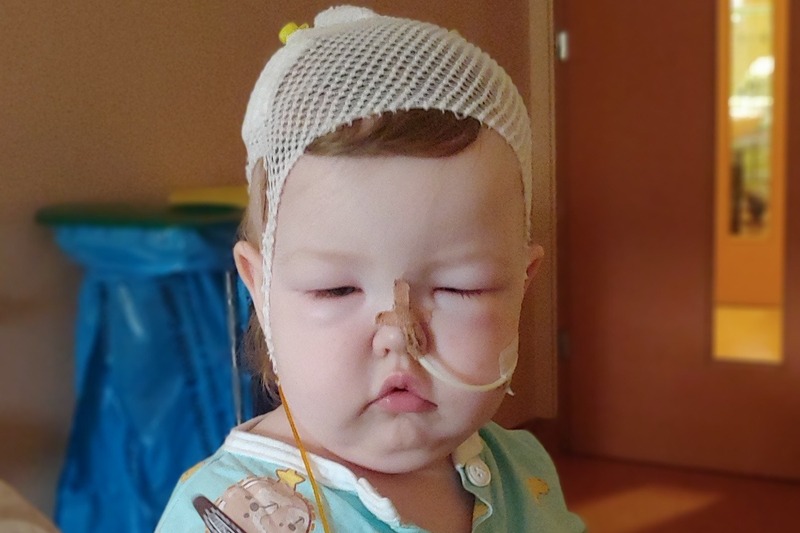 At this point Luna already had several medical interventions behind her, lumbar puncture, general anesthesia and MRI scanning among others, fighting off the undesired side effects. In a desperate attempt to stop her kidneys from failing, the doctors opted for another aggressive immunosuppressive therapy with the tachrolimus drug. Due to her immune system being suppressed we lived an isolated life in order not to expose Luna to infections. Even catching a common cold could potentially be a life threatening situation. She was now spending more time at the hospital than at home. After nine months of unsuccessful aggressive immunosuppressive therapy, the doctors gave up. She was now receiving medications only to help managing her secondary health problems (anemia, acidosis...). According to the doctors the end stage renal disease, commonly known as kidney failure, was inevitable and not far. Then came a week when she rapidly started gaining weight - two kilos over a matter of a few days. We knew something was off and took Luna to the hospital. Her clinical picture was off the chart as a result of the progressive kidney failure. She was immediately admitted and for a week the doctors tried containing the situation but it was all in vain. Her refusing to take the medications orally was now putting her life in danger and the doctors had to insert a NG (nasogastric) tube. The following week Luna had to be admitted to the intensive care unit for an urgent hemodialysis, her kidneys have now failed completely and her body was retaining all fluids. In spite of living in the situation for a year, the admittance to the intensive care unit came as a shock. At a certain point she was plugged to approximately 20 tubes. 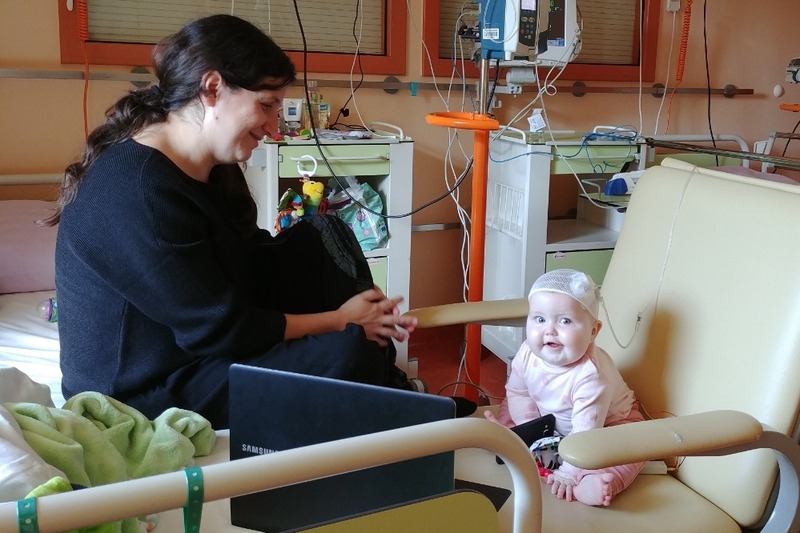 The urgency and severeness of her condition, the paralyzing helplessness we felt as the parents and her pain and fear over the next two weeks were exhaustive. During the continuous 10-day hemodialysis an excess of 3 liters of fluid was removed from her body - she was admitted with 14 kilos, by the time she was dismissed from the ICU, she had 10.8 kilos. At the moment the kidneys are not functional. After having spent two weeks in the ICU she started rejecting food and she is now feed through NG tube exclusively. The fluid intake has to be controlled and the dialysis is needed daily to remove the excess fluids. The venous catheter in her neck was removed after three weeks once the inserted peritoneal catheter was ready for use. In order to assure access to her veins (after a year of continuous use her veins are almost gone), a Peripherally Inserted Central Catheter (PICC line) was inserted as well. There was a necessity for all of these punctures but each and single one of them exposed her body to potential infectious complications. 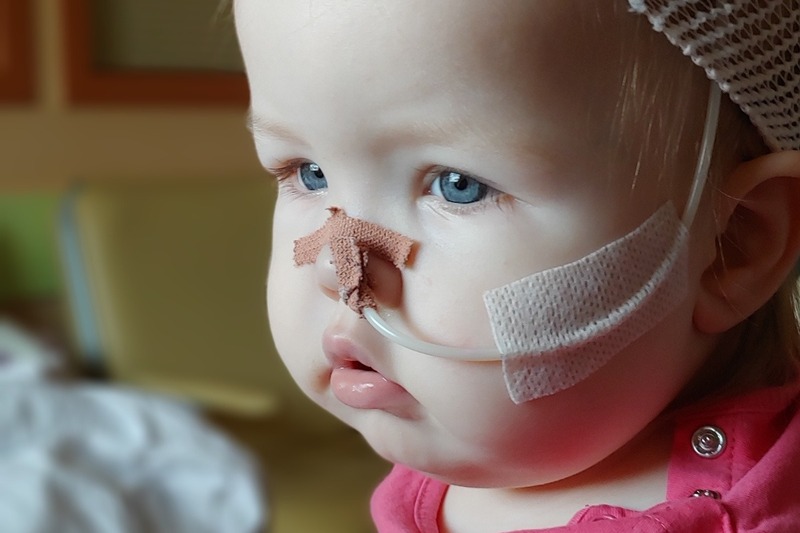 Luna is now 21-months old, has a peritoneal catheter and needs to perform a 12-hour dialysis daily. She is fed through the NG tube exclusively. 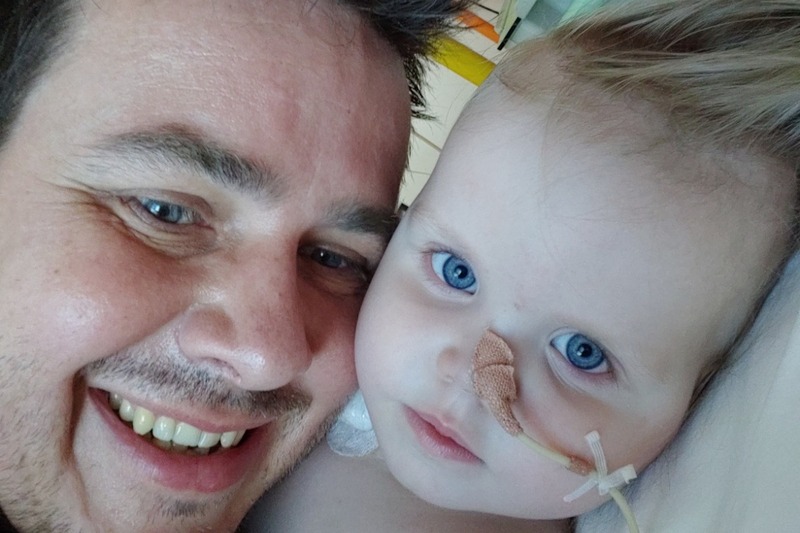 We are looking at a six months period in which she will receive all the necessary vaccinations and undergo thorough examinations for her to be put on the transplant list. Once she is listed, the estimated waiting time for a suitable donor graft (kidney organ) is between 6 and 12 months. 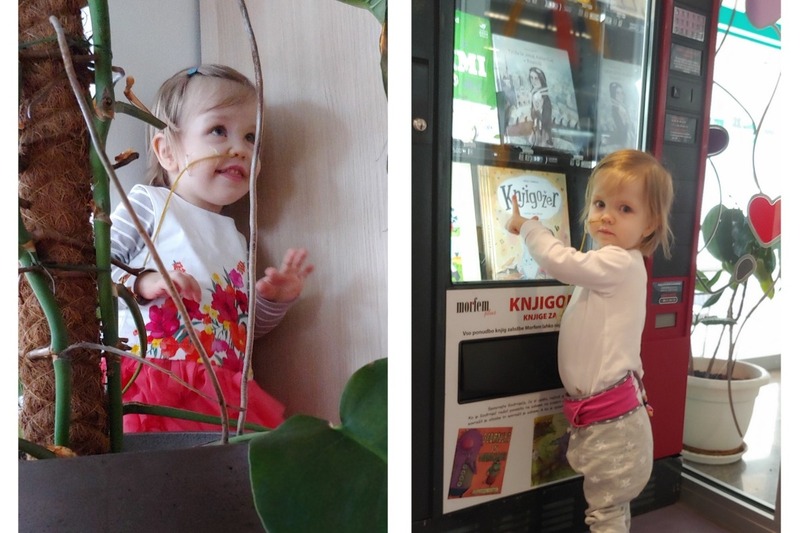 Her mom Carina has suspended the writing of her PhD thesis the day Luna was diagnosed. She is her 24/7 nurse ever since. Aya Indigo, Luna's older sister's also affected and is growing up faster due to our family situation. Luna's father Gorazd is the sole breadwinner and the past fifteen months have exhausted the family's financial reserves. 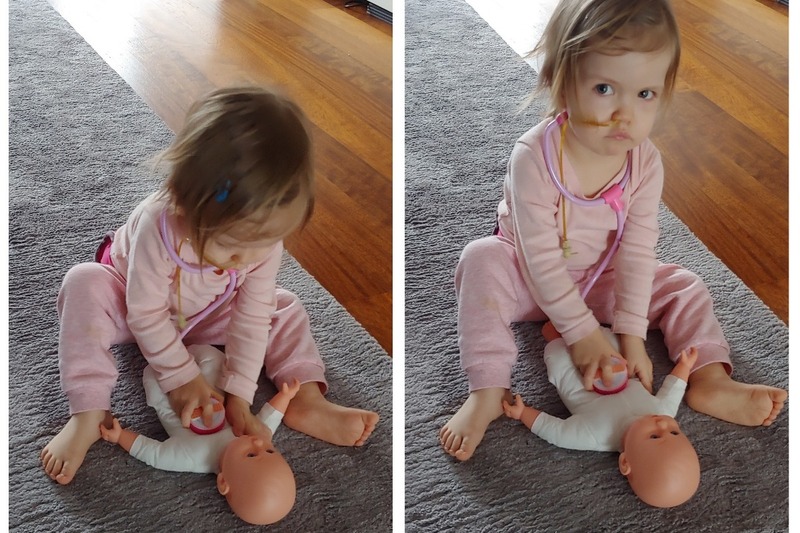 Before the transplant occurs we want to have her feeding on her own. We have found a tube weaning institution with >95% success rate. We also want to continue with the alternative healing along with the conventional medicine - the results of the sessions she had were notable. We want to offer Luna a good life and for that we need your help. In the long winter months Luna Sia was mostly unsuitable to receive scheduled vaccinations due to milder or stronger cold. 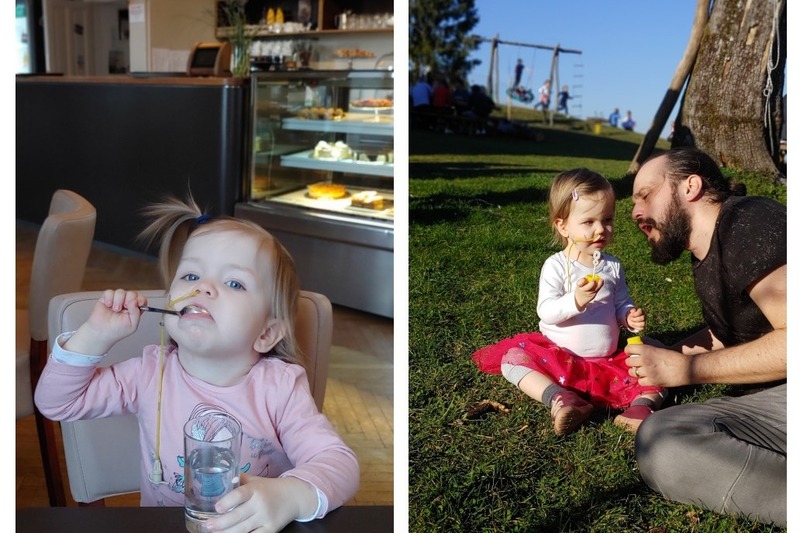 The doctors' optimistic estimation was that Luna would have had finished with the scheduled 6 vaccinations by the end of January 2019. These vaccinations are the prerequisite to get her on the transplant list. She was not vaccinated from 6 months of age onward due to immunosupressive therapies but has to receive them now, before facing a life time of immunosupressive therapy in eventual case of kidney transplant. Today she has received a third dose (out of six) meaning that in the best case scenario, we're still looking at at least another three months before she can receive them all. 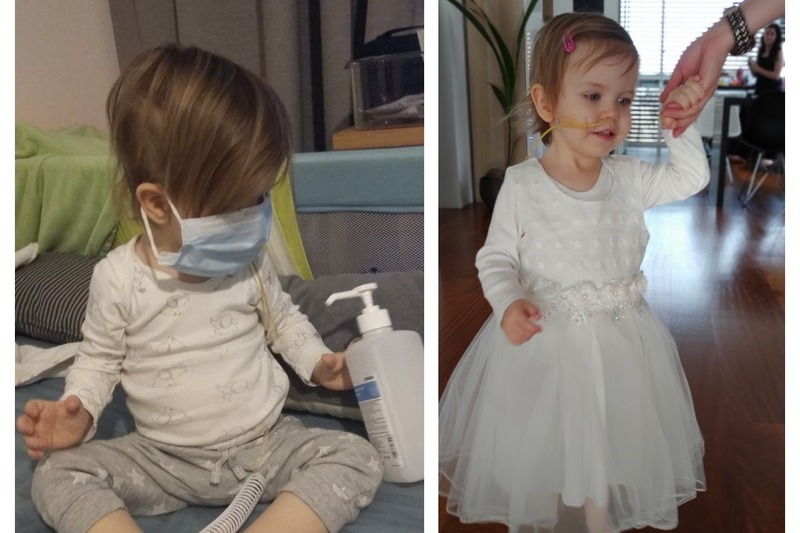 In conjunction with all the examinations that she still has to undergo, most likely she won't be put on the transplant list before the end of summer or even beginning of fall. Together with carefully prepared home cooked meals (calculated calories intake), Luna's enhanced diet includes various vitamins that her body lacks and herbs that help managing certain aspects of her condition (oxidative stress, high blood pressure, anemia...). Since we've introduced this, her overall clinical picture has gotten much better. In fact, it's at its best since the day she was diagnosed. Thank you all for helping us keep up with high costs of these food supplements! 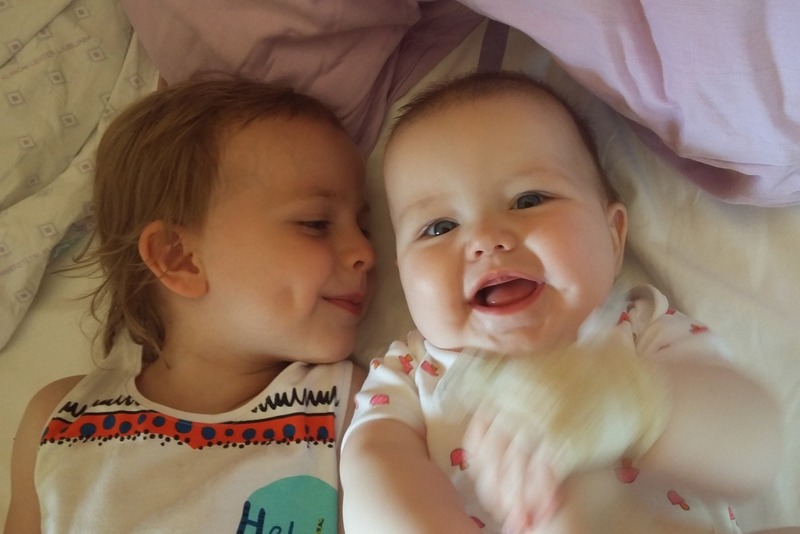 In the beginning of the week I was approached by a journalist for an online baby and children related portal, who later published Luna's story and appealed to their audience to contribute to our fundraiser. Thank you BibaLeze.si for that! In the coming festive period, we wish you all a very Happy Easter that is filled with plenty of love and happiness. We have received a lot of support over the past few months and to be honest, we were mind blown with the response. We have managed to raise substantial funds and moreover we have received a lot of encouraging messages not only from people we know but also from complete strangers, that gave (and still gives) us strength. Among many, we have received a few messages from skeptical people, asking where the raised money is going to. As much as I feel reluctant to even deal with these people, I decided to add a bit of a context to it. It's going to be two years soon since Luna's first diagnosis. 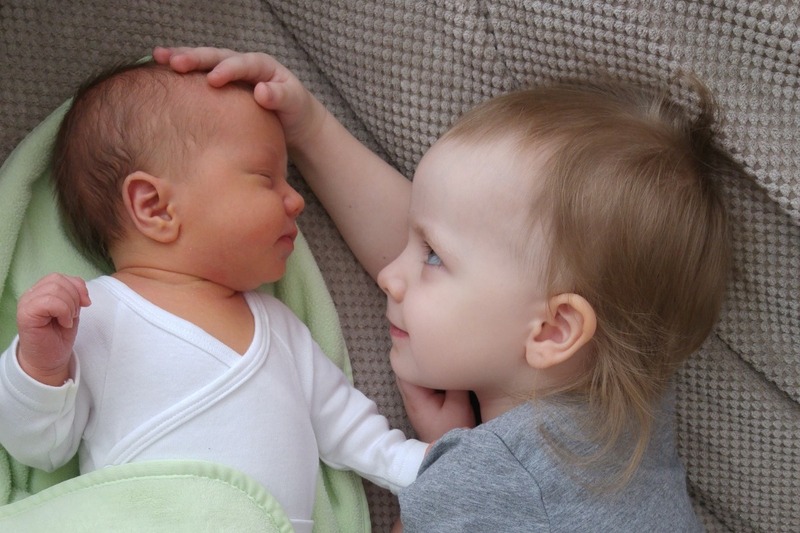 My wife Carina dropped everything the day we learned about the gravity of the disease and dedicated herself to Luna's care completely. A family of four now depended solely on my income. I had a good job in Austria that I liked and was well paid. 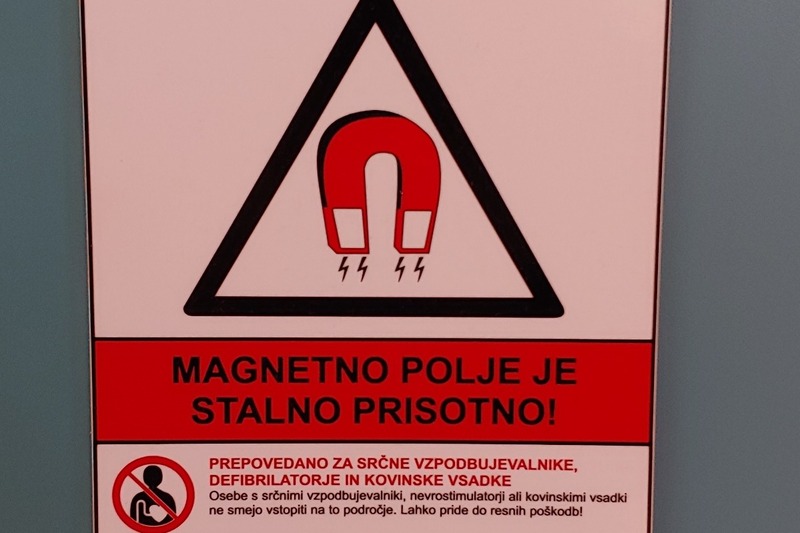 We lived in Maribor, Slovenia. As the disease progressed and the logistic became near impossible, we moved to the capital, Ljubljana. I had to look for another job and goes without saying that the salaries in Slovenia are much lower than in Austria. By a lot. Living expenses went up significantly too. The rent alone has doubled. The increase in expenses simultaneously with decrease of income, depleted our family reserves with lightning speed. Today our family is dependent on my income alone. Without the help of all you lovely people, we wouldn't be able to actively participate in Luna's treatment and do absolutely everything in our power to help Luna in the best ways possible. 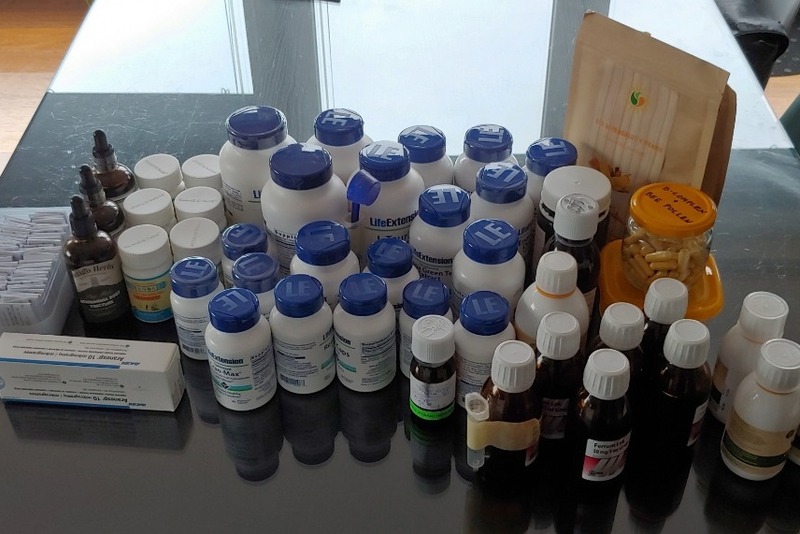 At the present, Luna's daily medication and supplements (vitamins etc.) list, consists of 23 different items. 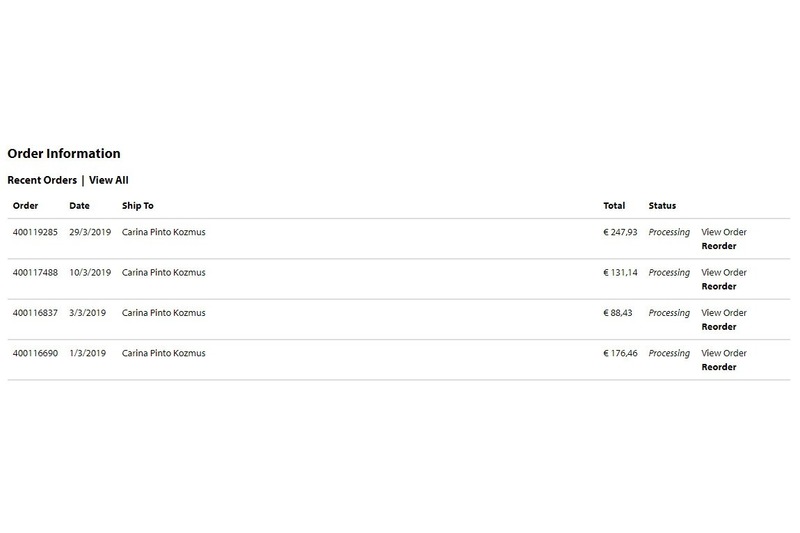 While most of the medications are paid by our health insurance, we have thrown out around 900 € for the quality supplements in the last three weeks alone. Last but not least, one can not put a price on one's health regardless of how much it costs to obtain it. If you're a parent, you know you'd do everything for your kids. In the end, they are our only and most valuable treasure. This update might not seem like much but in all honesty, it took me a few days to put it together. It might sound unreal to you but that is our reality. I would also like to take this opportunity and thank you all for your contributions and support - often it gives us the much needed strength to go through the day. Also, if any of you kind people, or kind people that you know, can help us in any way with information on alternative approach to managing (healing) Luna's condition, please get in touch! - 2450> hours (that's more than 102 days in total!) Luna spent pluged to the APD (Automated Perytonial Dialysis) machine. Just looking at the statistic of it all is tiring, let alone living this reality day to day. Throughout our journey so far we have learned a lot. Carina being a professional medicine researcher spent countless hours reading scientific articles in between her short sleep cycles, looking for alternative ways of helping Luna. We went from blindly following the doctors' protocols to having open and (unfortunately seldom) constructive discussions about Luna's treatment. We have adapted our lives completely to bettering Luna's conditions. Two weeks ago, we've learned that a young doctor, dr. Miha Ciringer, who was in charge of Luna during her stay in the ICU (Intensive Care Unit), succumbed to the work pressure and committed suicide. A few days ago, a young girl with kidney disease, passed away in the ward. These are upsetting news which remind us that life is hard for other people too. However, we do have (some) good news. Since the beginning of this campaign, we have been struggling with Luna's feeding disorder on top of her kidney disease. We now have regular appointments with therapeutic specialist who is helping us with Luna's feeding disorder. As of now, she does not resist (so much) anymore to being spoon-fed...water. Actual food is still a big no-no but we're hoping to eventually get there too. 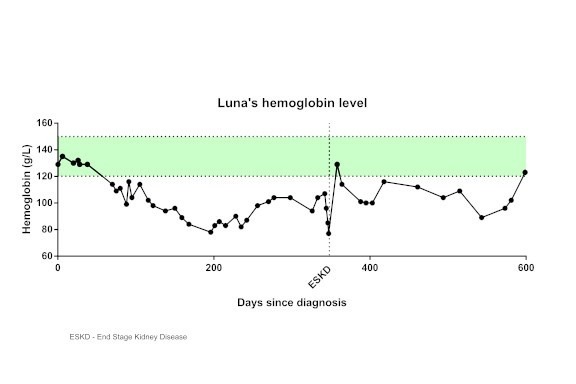 Another great news is that Luna's hemoglobin levels are back in the green for the 1st time (!!!) since she was diagnosed. In practice this means that her anemia situation is improving. We dare to say that this is (mostly) due to a carefully planned diet together with food supplements (mostly vitamins). 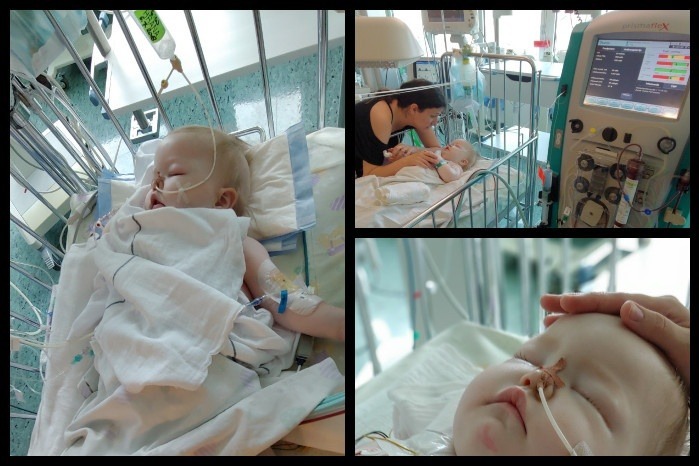 In order to follow the vaccination program which needs to be executed prior to adding Luna to the transplant waiting list, we are isolating ourselves as much as possible from the potential source of infections. We're still falling behind with the schedule - out of 6 vaccinations, Luna's only received 2 so far due to colds and the plan of having her listed by the end of January 2019 is clearly not happening. 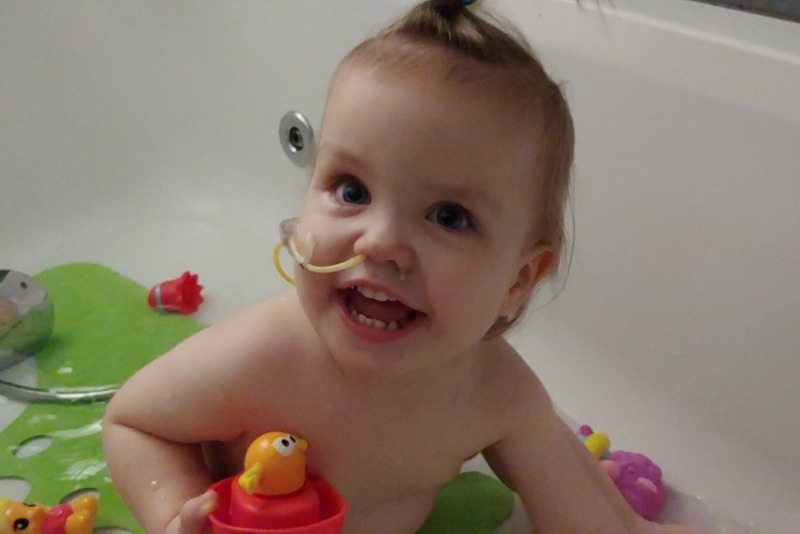 The doctors adjusted the protocols and re-evaluated the progress and they are now pushing to have her listed on the transplant waiting list by the end of June. I guess chronic diseases are difficult for those who have them but I can't go past the fact that having a child with a severe chronic disease is another league altogether. Maybe it's also due to the fact that we as parents aren't just a passive bystanders in her medical treatment. In stead we are quite proactive in researching alternative treatments (Carina especially) and ways of helping Luna, possibly even reaching the stage of remission (yes, not unheard of!). It is surprising how many dietary supplements are out there that help managing diseases in a natural (and very efficient) way but not even suggested by the conventional medicine (don't even get me started on the pharmaceutical lobbying) and doing so without the harmful side effects (some including downright causing kidney problems or worse!). A few weeks ago we have submitted an application for the kindergarten for Luna. We need to start breathing to keep our sanity and not burn out but above all, Luna deserves an opportunity of a normal life (as much as possible). She loves the company of other kids but unfortunately for the time being she's mostly limited to the company of her older sister Aya. We were already invited to the kindergarten of choice (the one closest to our home) for an informative meeting and found out that Luna will most likely need a dedicated caregiver due to the nature of her disease (peritoneal catheter, nasogastric tube, medications...). Thank you for contributions and spreading the word! After spending Valentine's Day in the hospital yesterday, this morning Luna Sia was put under general anesthesia in order to perform the MRI of her lumbar area and also do the ultrasound scan of her jugular veins and carotid arteries. Anticipated time for the procedure is an hour and a half but to us every second feels like an eternity.